“Unless you eat my body…”: Is John 6:53 Symbolic or Literal? Jesus once said, “Unless you eat my body and drink my blood, there is no life in you” but did He mean His words to be taken symbolically or literally? This text comes from the Gospel of John, 6:53, a text I never preached on as a Presbyterian minister. In fact, I pretty much avoided John 6 during my fifteen-plus years in Protestant ministry because I was uncomfortable with this very question: symbolic or literal. This chapter in John remained safely untouched up on the nice shelf. I did not come to accept the Catholic Church’s teaching on the Real Presence of Christ in the Eucharist because of this text, and frankly, I don’t think any apologetic argument based on this text would have broken through my thick Evangelical, subtly anti-Catholic, shell. But in the end, it was this verse that sealed the deal on my convictions. For the first forty years of my life, I at best considered the Lord’s Supper to be only symbolic. My first twenty years were as a baptized yet nominal Lutheran. To me, the monthly celebration of the Lord’s Supper was nothing more than a Sunday ritual. My mind was always elsewhere. Then after a life-changing, born-again conversion, my second twenty years consisted of a variety of evangelical ministries, which included seminary and then nine years as an ordained minister. During these years, the Lord’s Supper was a very meaningful part of my faith life. Every month, I insisted that my congregation make this celebration special, because I took Jesus’ words seriously: we were to do this in memory of Him — as a reminder of what He had done for us on the cross. I believed the Lord’s Supper was not a symbol, but a reminder, just like the New Testament is; lifting up the bread was a reminder of John 3:16, that “God so loved the world that he gave his only begotten son, that whosoever believes in him would not perish but have everlasting life.” In the busy-ness of our lives, we can forget what this is all about; the Lord’s Supper was a way of remembering and celebrating that we have been saved from damnation by His free giving of Himself on the cross, through the spilling of His Blood. Then, a series of “verses I never saw” began changing my life. In this article, I’d like to go through, as chronologically as I can, how Scripture convinced me that Jesus was speaking very seriously when He said, “Unless you eat my body and drink my blood, there is no life in you.” No Catechism or other Catholic Church documents would have impressed me; no skillful Catholic apologist would have bugged me; I had to see it in the Bible alone. And the first verse that got my attention was 1 Timothy 3:14-15. This was what began my “journey home,” but it did not make me a Catholic. Rather, it began my thinking for the first time in my life that Scripture alone was not sufficient because the Church was the “pillar and bulwark of the truth.” But which church? It was in this that I began to see that being a member of a “church” was somehow necessary for at least knowing the truth, if not for salvation. How this led to the other verses that drew me toward the Catholic Church is another story, but for me, the issue of how to understand the Eucharist began as nothing more than a hodgepodge of opinions. I knew full well what the Bible said in the Gospels and Paul’s letters, but the wide breadth of contradictory opinions held by Christians on the topic only denuded any sense of urgency to reconsider my own opinion on this. So dealing with John 6 remained far back on the nice shelf. As I said these words, my emphasis as usual was on “Do this in remembrance of me,” and not the more controversial passages, but I was struck by a thought that I was anxious to examine privately in my study: The Book of Worship did not use all the words that Paul had passed on in his letter. Why not? 17: But in the following instructions I do not commend you, because when you come together it is not for the better but for the worse. 19: for there must be factions among you in order that those who are genuine among you may be recognized. 20: When you meet together, it is not the Lord’s supper that you eat. 21: For in eating, each one goes ahead with his own meal, and one is hungry and another is drunk. 22: What! Do you not have houses to eat and drink in? Or do you despise the church of God and humiliate those who have nothing? What shall I say to you? Shall I commend you in this? No, I will not. 34: if any one is hungry, let him eat at home — lest you come together to be condemned. About the other things I will give directions when I come. In other words, the devil was causing divisions in the early churches by tempting the members to add-on to and expand the simple celebration of the Lord’s Supper into a feast, maybe even leading some to argue that this was necessary because otherwise the poor in the congregation had nothing to eat. It’s also clear that the wine they were using, if not abusing, was not mere grape juice! Paul, though, was insistent on protecting the integrity of the Lord’s Supper, for he believed that this was serious. He warned, “lest you come together to be condemned.” How could this be, if this was nothing more than a merely symbolic reminder? 27: Whoever, therefore, eats the bread or drinks the cup of the Lord in an unworthy manner will be guilty of profaning the body and blood of the Lord. 28: Let a man examine himself, and so eat of the bread and drink of the cup. 29: For any one who eats and drinks without discerning the body eats and drinks judgment upon himself. 30: That is why many of you are weak and ill, and some have died. There is much to consider in these verses, but what struck me there in my study was: If the Lord’s Supper is merely symbolic, then how would eating a piece of bread and drinking a little sip of wine “in an unworthy manner” make one “guilty of profaning the body and blood of the Lord?” If our monthly ritual was nothing more than a reminder of what Jesus did for us on the cross, then what could Paul have possibly meant by “anyone who eats and drinks without discerning the body eats and drinks judgment upon himself,” which Paul said was why many of them were “weak and ill, and some have died.” Did he mean that this lack of discerning the Body actually caused sickness and death, or did he possibly mean that celebrating the Lord’s Supper in an unworthy manner, without discerning the Body, was what was causing many of them to be weak in their faith? Their faith had become sick, and some had even died spiritually, falling away into divisions. Were their very divisions caused by their not taking the Lord’s Supper seriously? 14: Therefore, my beloved, shun the worship of idols. 15: I speak as to sensible men; judge for yourselves what I say. 16: The cup of blessing which we bless, is it not a participation [koinonia] in the blood of Christ? The bread which we break, is it not a participation in the body of Christ? First was the phrase, “the cup of blessing which we bless.” The idea of blessing things meant to me as a Presbyterian little more than setting something apart or praising it. I could ask God to bless something, but what did this mean? But here Paul seemed to imply seriously that the cup of wine of the Lord’s Supper becomes a blessing through our actions or Paul’s or maybe the pastors of the Corinthian church — actions that he placed parallel with breaking the bread. “that which we have seen and heard we proclaim also to you, so that you may have fellowship [koinonia] with us; and our fellowship is with the Father and with his Son Jesus Christ” (1 Jn 1:3). Is this koinonia with the Father and Jesus, or with the Blood and Body of Christ, merely a close association? Or could it be something more? The third thing I noticed in this text was the emphasis on “breaking” the bread. This would become important to me later. 17: Because there is one bread, we who are many are one body, for we all partake of the one bread. 18: Consider the people of Israel; are not those who eat the sacrifices partners in the altar? 19: What do I imply then? That food offered to idols is anything, or that an idol is anything? 20: No, I imply that what pagans sacrifice they offer to demons and not to God. I do not want you to be partners with demons. 21: You cannot drink the cup of the Lord and the cup of demons. You cannot partake of the table of the Lord and the table of demons. 22: Shall we provoke the Lord to jealousy? Are we stronger than he? Here Paul emphasized that participation [koinonia] in the Body and Blood of Christ unites all Christians in the same sacrificial way that the Old Testament sacrifices united the Israelites with the altar and that pagan sacrifices unite them with demons. The partaking of the bread and wine of the table of the Lord is more than a symbol or a reminder; it is a blessed sacrificial participation or koinonia in the Body and Blood of Christ that unites us with Him and one another. …they devoted themselves to the apostles’ teaching and fellowship, to the breaking of bread and the prayers. Here again were the terms fellowship, or koinonia, and the breaking of the bread. I had always understood this to describe the four aspects of the early Church worship: the Apostles’ teachings, which I assumed became Scripture; fellowship, which was the gathering of believers; the breaking of bread, which I took to be the Agape meals, which I believed were separate from the occasional celebration of the Lord’s Supper; and the prayers, which were the continuation of the Jewish praying of the Psalms. As I studied this, however, in relation to other things I was learning about the early Church, I remembered that there were no punctuation marks in the original Greek text. I also saw that there was no “and” between “fellowship” and “to the breaking of bread and the prayers.” What this suggested was that this could be interpreted as describing “the apostles’ teaching and koinonia” as the two aspects of their devotions when they gathered and that the koinonia aspect consisted of “the breaking of bread,” which would become the technical term for the Eucharist, and “the prayers.” In other words, this was a simple description of the two parts of the Mass: the liturgy of the Word and the liturgy of the Eucharist. 29: but they constrained him, saying, “Stay with us, for it is toward evening and the day is now far spent.” So he went in to stay with them. 30: When he was at table with them, he took the bread and blessed, and broke it, and gave it to them. 31: And their eyes were opened and they recognized him; and he vanished out of their sight. 35: Then they told what had happened on the road, and how he was known to them in the breaking of the bread. There is certainly much that can be said about these passages, but I had always understood this experience to mean that by His acting out before them what He had done previously in the Upper Room, they all of a sudden recognized Him; in other words, like how I understood the Lord’s Supper to be merely a reminder. However, there is much more here. He explained to them all the typological references to Him in the Old Testament, but this was not enough to convince them; therefore, the Bible alone, even thoroughly explained by Jesus Himself (! ), was not enough. 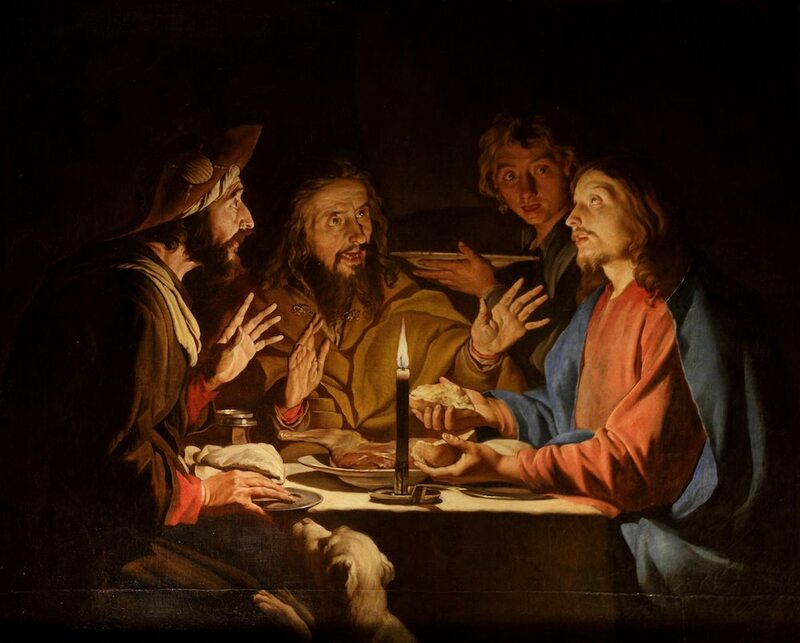 It was in their reception and partaking, or as Paul said, their participation in the blessed, broken bread that “their eyes were opened” and “he was known to them.” This participation was more than a symbol or reminder. 20: And likewise the cup after supper, saying, “This cup which is poured out for you is the new covenant in my blood. Here again were the clear words, “THIS IS MY BODY.” Was Jesus merely speaking symbolically? Why would He be doing this, saying this, on the last night He would spend with His chosen Apostles, whom He would eventually send forth to make disciples of all nations through preaching and Baptism? And why would He insist that they “do this in remembrance” of Him — unless Jesus was insisting that this was something that was crucially important? It would only be later that I would learn that the particular word that Jesus used for “remembrance,” “anamnasiv,” is a rare word in the Bible and only used in the context of a memorial sacrifice. There were other words He could have used to tell them to do this to remind them of what He was about to do for them on the cross. The use of this word, however, implies that this was essentially to have been a memorial sacrifice. What also struck me as significant was the juxtaposition of the words “took bread,” “had given thanks,” “broke it,” and “gave it to them.” This was parallel with all the miraculous feedings of the crowds, which suggests that all throughout His ministry He had been demonstrating to His hand-chosen disciples that this would become central to their work as His Apostles. It was also in the phrase “had given thanks,” which in Greek is “eucharistasas,” that this memorial sacrifice would get its name. You might be anticipating that by now I surely would have turned to John 6, but still I was not ready to bring this down from the nice shelf. Rather, through my readings I was becoming more and more aware of the importance of the early Church Fathers. So the question was, how did they who directly learned their faith from the Apostles understand all this? For them, was it merely a symbol or a mere reminder of the cross? The doctrine of the Real Presence asserts that in the Holy Eucharist, Jesus is literally and wholly present—body and blood, soul and divinity—under the appearances of bread and wine. Evangelicals and Fundamentalists frequently attack this doctrine as “unbiblical,” but the Bible is forthright in declaring it (cf. 1 Cor. 10:16–17, 11:23–29; and, most forcefully, John 6:32–71). The early Church Fathers interpreted these passages literally. 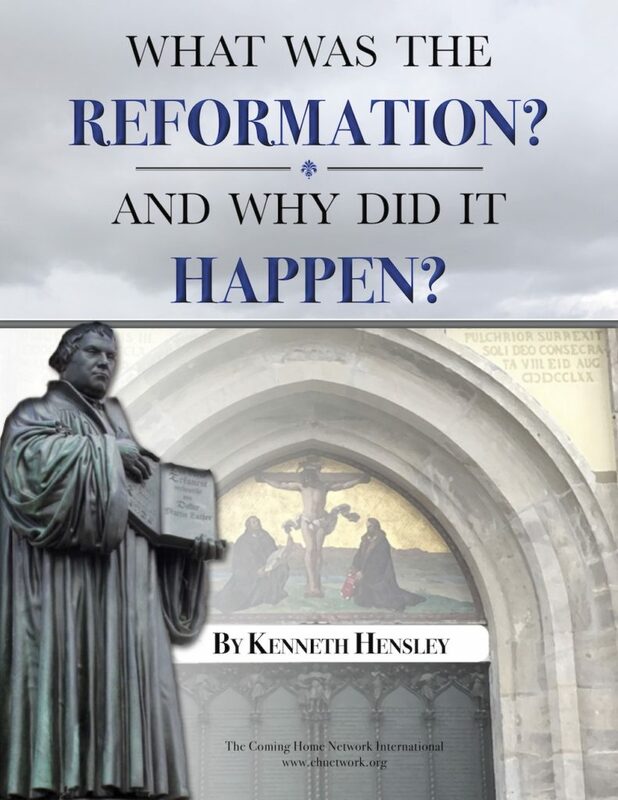 In summarizing the early Fathers’ teachings on Christ’s Real Presence, renowned Protestant historian of the early Church J. N. D. Kelly, writes: “Eucharistic teaching, it should be understood at the outset, was in general unquestioningly realist, i.e., the consecrated bread and wine were taken to be, and were treated and designated as, the Savior’s body and blood” (Early Christian Doctrines, 440). From the Church’s early days, the Fathers referred to Christ’s presence in the Eucharist. On the Lord’s Day, once you have gathered, break the bread [of the Lord], and celebrate the Eucharist, after having confessed your transgressions that your sacrifice may be pure. In following Paul’s warnings, therefore, one must not partake unworthily, but first confess one’s transgressions. We also hear clearly that the Eucharist is a sacrifice, not merely a ritual symbol or reminder. You have noted those who teach heterodox things about the grace of Jesus Christ which came to us. How they are contrary to the mind of God! They are not concerned about love, neither the widow, the orphan, the afflicted—whether bound or free, the hungry nor the thirsty. They abstain from the Eucharist and from [set times of] prayer because they do not confess that the Eucharist is the flesh of our Savior Jesus Christ, that flesh which suffered for our sins but which the Father raised in his kindness. Those who contradict the gift of God with strife will die. In the earliest days of the Church, those who taught heterodox things, in other words, contrary to the apostolic deposit of faith as handed down from Christ to and through His Apostles, were those who refused to confess that the “Eucharist is the flesh of our savior Jesus Christ.” And interestingly, he reports that those who denied this and, therefore, did not receive the graces of the Eucharist, no longer were concerned with love, with acts of mercy, nor even in the practice of their prayers. “Not as common bread nor common drink” but as “the food which has been made into the Eucharist by the Eucharistic prayer set down by him.” Justin implies that the very prayers used for the consecration of the Eucharist were passed down from Christ Himself to His Apostles as a part of the deposit of faith. And this food, which is “the flesh and the blood of that incarnated Jesus” nurtures our blood and flesh. It completes us; it completes our baptismal regeneration. Here St. Irenaeus clearly describes the koinonia/participation that takes place when a baptized believing Christian partakes of the eucharistic Body and Blood of Christ. I found many more references in the early Church Fathers to their belief in the Real Presence of Christ in the Eucharist, but I was still not ready to face John 6. I was, however, drawn to it through the back door. 1: I am the true vine, and my Father is the vinedresser. 2: Every branch of mine that bears no fruit, he takes away, and every branch that does bear fruit he prunes, that it may bear more fruit. 3: You are already made clean by the word which I have spoken to you. 4: Abide in me, and I in you. As the branch cannot bear fruit by itself, unless it abides in the vine, neither can you, unless you abide in me. The only place in Scripture where Jesus tells us how we are to abide in Him and how He is to abide in us is through our participation/koinonia in His Body and Blood. I had always assumed that Jesus dwelt in my heart by faith, or through Baptism, but here we see why the Church insists, “baptism is only the first sacrament of initiation and demands to be completed by the Eucharist.” Jesus remains in us through our koinonia in His Body and Blood. If we deny this, or as Saint Paul warned, refuse to “discern the body,” or as Saint Ignatius of Antioch wrote, refuse to “confess that the Eucharist is the flesh of our Savior Jesus Christ” and teach heterodox views of the Eucharist, there is no wonder so many today have weak if not sick faith, or have even died spiritually. It had always puzzled me that, unlike the other Gospel writers, Saint John had not described the Last Supper. But I came to realize in my studies, that the entire chapter six of John is his way of emphasizing the central importance of the Eucharist. In this chapter, Saint John describes the winnowing effect of the Eucharist. The chapter begins with large crowds following Jesus everywhere, but as Jesus proclaims in serious unequivocal terms, “Unless you eat my body and drink my blood, there is no life in you,” the crowds dwindle down to the Jewish leaders and then to His disciples until only the Twelve are remaining. Once again, Jesus had an opportunity to straighten out any misunderstandings. In other circumstances, He had admitted to His followers that to the crowd He often spoke in parables while to them He was clear, sharing with them the secrets of the kingdom of God (cf., Luke 8:9f). So, as with the parable of the Sower, He could have given them the keys to unlock His symbolism. But He wasn’t speaking in symbols. He only said, “Do you take offense at this? Then what if you were to see the Son of man ascending where he was before? It is the spirit that gives life, the flesh is of no avail; the words that I have spoken to you are spirit and life. But there are some of you that do not believe” (61-64). The winnowing process had separated the wheat from the chaff, leaving only the Twelve, to whom Jesus asked, “Do you also wish to go away?” (67). The winnowing process was not yet complete, however, for after possibly a moment of silence, only one of those remaining spoke up. “Simon Peter answered him, ‘Lord, to whom shall we go? You have the words of eternal life; and we have believed, and have come to know, that you are the Holy One of God’”(68-69). This is how, by grace, I became open to the Church’s teaching on the Real Presence of Christ in the Eucharist. The way I’ve related this, it may sound like this took place in one sitting, but it really took many months and involved many other influences, resources, and the witness of many Catholics and converts. But in the end, it was Peter’s answer that essentially became my answer: Where else could I go to find truth?